Accelerate OLTP, batch processing, and other intense applications with the RamSan solid state disk from Texas Memory Systems the only solid state disk available with the performance, software, and features that critical enterprise applications demand. It is 2x-10x faster than the cache included in popular RAID storage systems, yet it also contains the most high-availability features in the solid state disk industry and fits the most GB of RAM storage per rack unit. The RamSan is the only solid state disk that allows users two distinct modes of data retention, customizable for each LUN on the unit. Placing hot data on a RamSan allows maximum return on existing critical applications and hardware. Performance is key to a quality solid state disk. 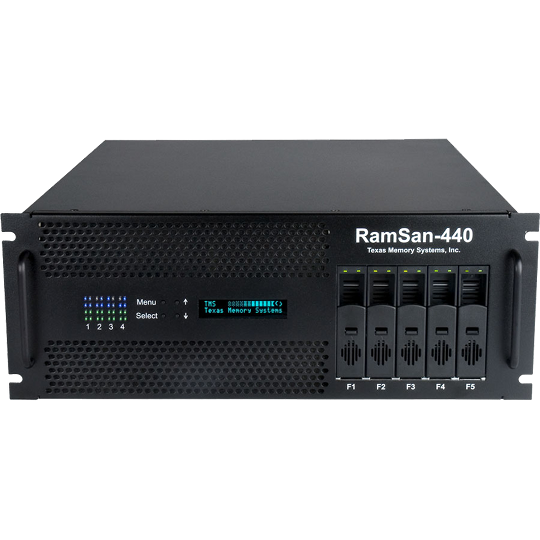 The RamSan-400 is the World’s Fastest Storage. The system delivers 3 GB/sec of sustained, random bandwidth and over 400,000 random I/Os per second. The RamSan delivers its massive bandwidth to hosts through eight 4-Gb Fibre Channel interface ports or four 4x InfiniBand ports. 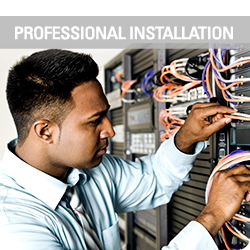 Its high bandwidth enables administrators to share the RamSan-400 across multiple hosts without affecting performance. Also, some applications require high bandwidth, including video on-demand and non-linear editing of HDTV. Competing solid state disks that have less bandwidth than the RamSan-400 cannot support all of the applications that the RamSan supports and cannot be shared with as many hosts without compromising performance. An important note as you compare solid state disk to RAID: our solid state disks can sustain their bandwidth numbers with random data streams. Conversely, RAID systems can only sustain high bandwidth numbers with sequential data streams. The RamSan-400 can deliver 400,000 random I/Os Per Second (IOPS) to your applications. A single port on the RamSan-400 can provide 100,000 random IOPS. We stress “random IOPS” because RAID manufacturers occasionally cite their IOPS performance, but discerning buyers should be aware that these quoted numbers are almost always sequential IOPS performance. The problem with sequential IOPS is that almost no “real world” applications actually result in sequential small block disk access. So why do you need IOPS? IOPS are needed to process database transactions. Database transactions have two main characteristics: they are small (averaging around 8K), and they are random. Small random file accesses thrash hard disk drives. In fact, a really good disk drive can provide around 300 random IOPS. A fast RAID can handle 5,000 random IOPS. 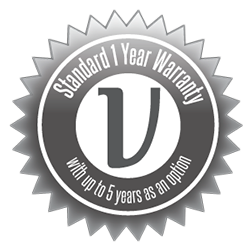 The fastest cache built in to expensive storage systems can handle at most 150,000 IOPS. This brings us back to the original statement: it is important to support a high number of IOPS because your servers can produce a high number of IOPS. When your processor is faster than your storage, then your processor literally waits on storage for data needed to perform calculations this is called I/O wait time. If your processor is waiting, then your users are waiting, too. 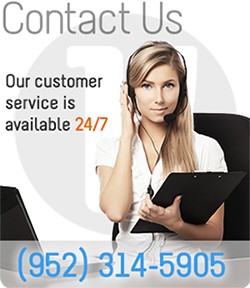 In addition, you are wasting a significant investment in the latest processors. By supplying incredibly high random IOPS, the RamSan-400 eliminates I/O wait time for all of its stored files. 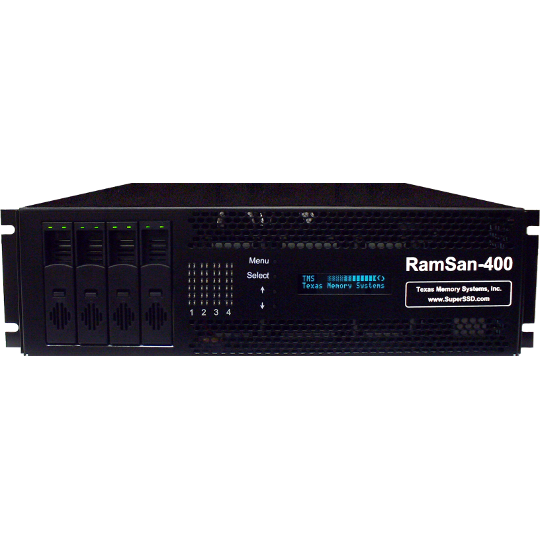 Because of its random IOPS capabilities, a single RamSan-400 can provide I/O acceleration for multiple host servers.